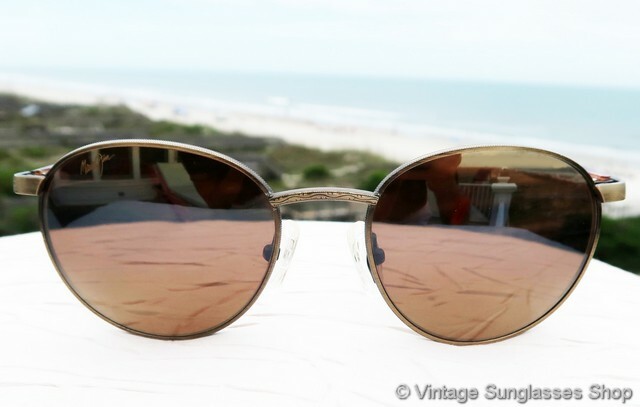 1 Early vintage Maui Jim MJ-167 green tortoise shell mirrored sunglasses are definitely not your modern Maui Jims - and we think a whole lot better! 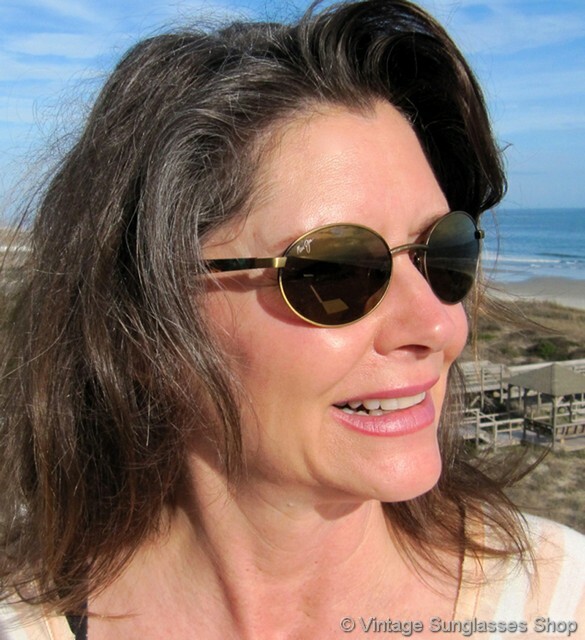 It combines striking blue tortoise ear stems with lots of different colors interspersed for a great look with moderately reflective Maui Jim mineral glass lenses. 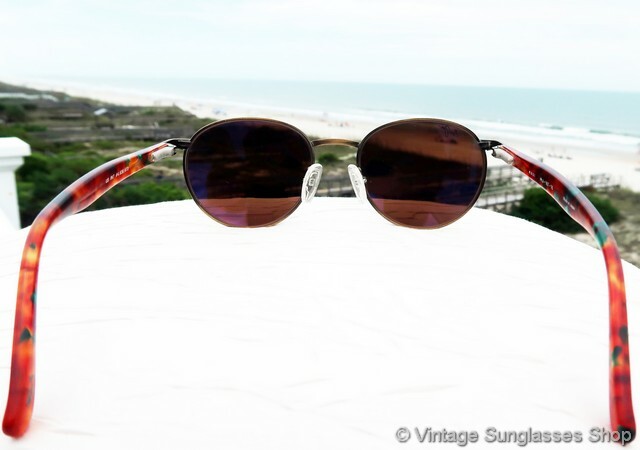 These Maui Jim MJ 167 sunglasses were one of the earliest styles produced, much more like vintage Revos than today's lightweight Maui Jims. 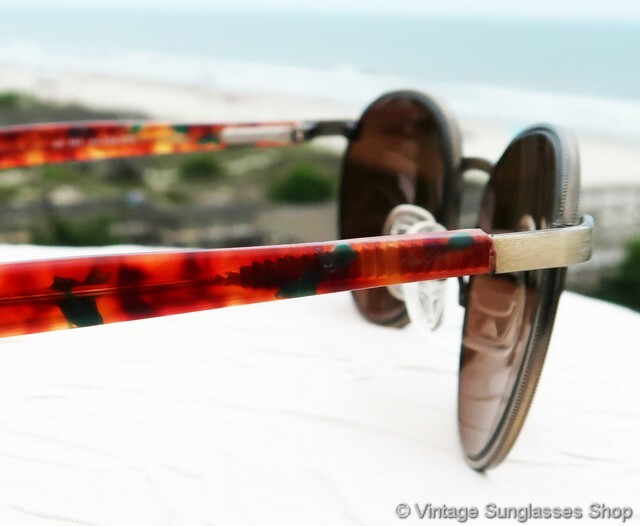 The front frame is antique gold with fine and precise etching at the nose bridge, and check out the colors in the green tortoise ear stems that are so unique in the MJ 167. 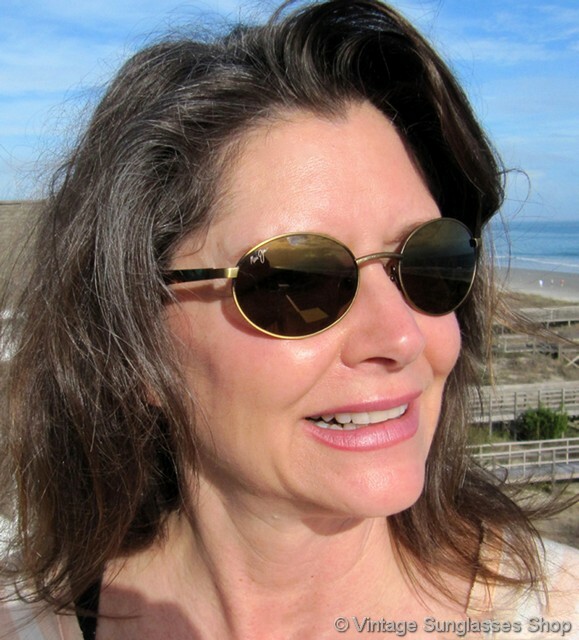 The highly reflective mirrored lenses have a subtle silver-brown color that is understated yet perfect when combined with the etched metal and green tortoise shell that surrounds them. 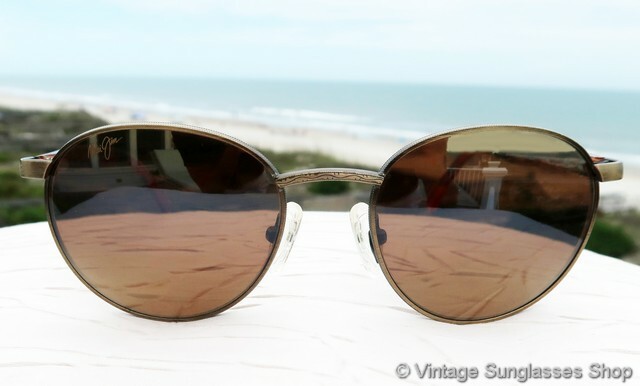 The early Maui Jim mirrored mineral glass lenses measure approximately 1.875" in diameter although not perfectly round, and the right lens is laser etched Maui Jim. 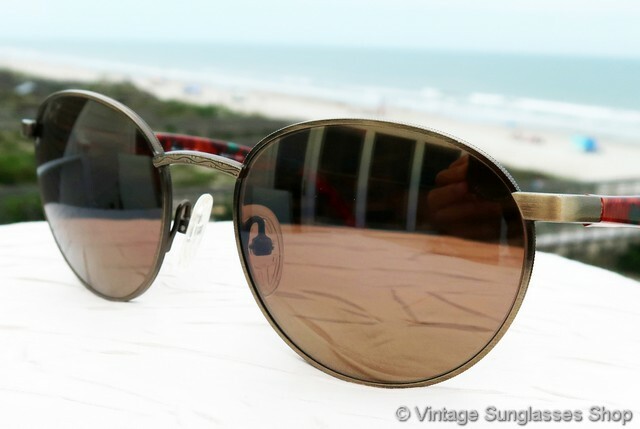 Spring loaded hinges add to the fact that no quality detail was spared in the design, and the inside of one ear stem is marked Maui MJ-167-16 Made in Japan while the inside of the other stem is marked with the US patent number. 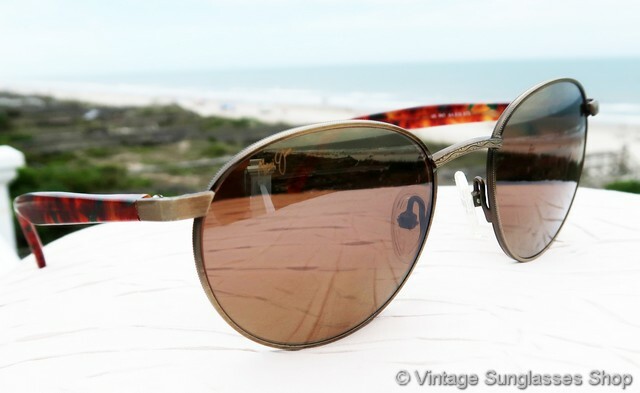 The Revo influences are so obvious in this design and so different from the lightweight Maui Jim sunglasses with polycarbonate lenses being made today. 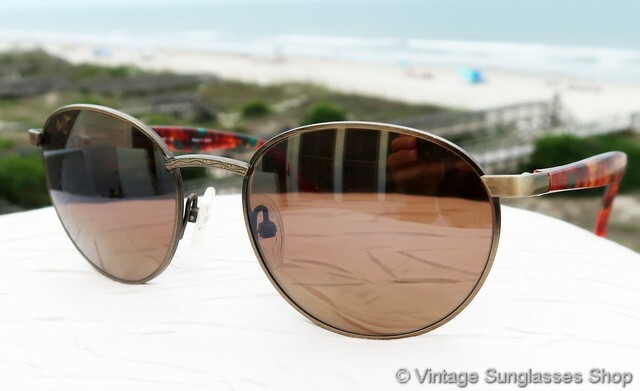 2 Step up another level beyond our already unequaled vintage condition standards with new old stock Maui Jim MJ-167 green tortoise shell mirrored sunglasses in mint, unworn condition.